With the increasing number of cloud vendors entering the space and the established players holding steady, the options can be overwhelming when choosing a software vendor. 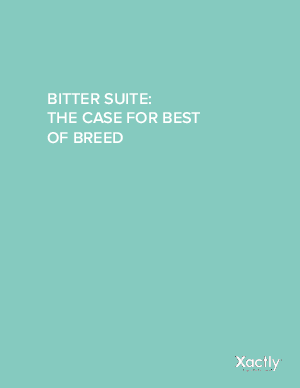 Then the question arises, “Do you choose could-based applications to create a best of breed team or do you choose a suite option?” At Xactly we recognize the difficult decision you’re making and have highlighted some important things to consider in our Bitter Suite: The Case for Best of Breed eBook. Download to find out if best of breed or suite is right for you!